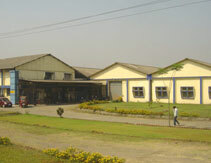 Subhash Silk Mills Limited was founded as a partnership firm sometime in 1949 by Mr. VedPrakash Mehra and his brothers. In November, 1970 the firm was taken over by Subhash Silk Mills Ltd. Currently in its 63rd year, Subhash Silk Mills Ltd. is one of the pioneers of textiles in the art-silk industry in India. On 4thAugust, 1988 the Company was deemed as a public limited Company and consequently came to be known as Subhash Silk Mills Ltd. Subsequently on 5thOctober, 1994 it was converted into a Public Limited company, namely Subhash Silk Mills Ltd. The current Management is headed by Mr. Sumeet Mehra, Chairman of the Board. With a wealth of experience in the textile field, the name of “Subhash” is well recognized in the art-silk markets of India. Subhash Silk Mills Ltd., in the past few years has also ventured into the garment industry and is regularly supplying high quality garments for Corporates under the name “Vastra Creations”. The Company feels the opportunity in corporate and school uniforms is vast and are committed to increasing market share in this sector. The Company is professionally managed by the experts in the financial fields. Composition of Committees of Board of Directors.